New waterfall glazer and half icer for donuts and other coated products. 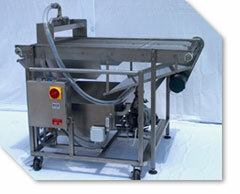 Can also be used for eggwash, chocolate and any other low viscosity materials. Champion #2 "ThoroMix" Mixer reman. 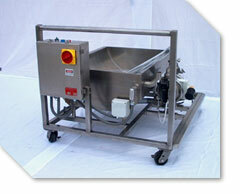 French bread mixer and Croissant Mach. Peerless mixer, mod. #555, 1000 lb. Fedco butter melter w/ refrig. Please contact us for a complete list of equipment.